Since iOS 1 Apple has had added changed many things to iOS, like the Music app. But for the Messages apps – which is one of the most important stock app of the phone – Apple has not made any major visual changes. It still looks like iOS 1 Messages app. But that’s one thing Apple could bring to iOS 7: a redesigned Messages app. Reddit member Pflughaupt designed an interesting new Messages app that works and looks different from the one Apple currently has in iOS 6. 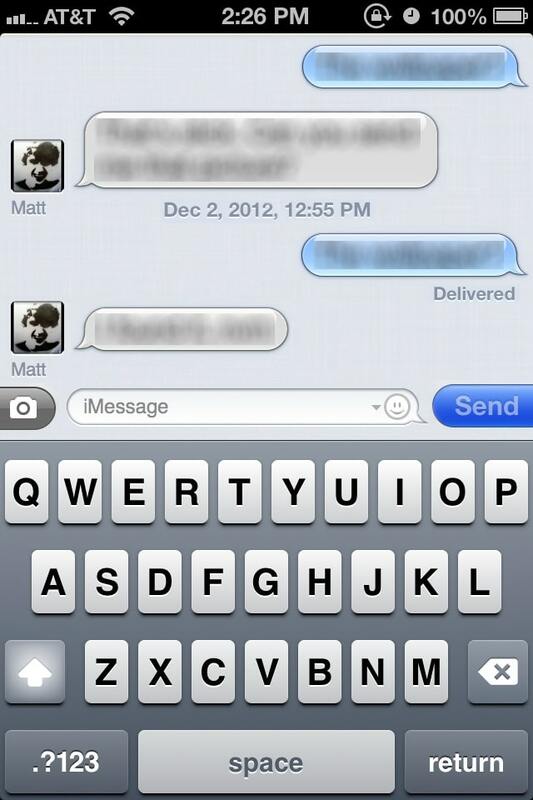 The new Messages app is inspired by Mountain Lion Messages.app. You can access your conversations with your thumb like in the Facebook app. 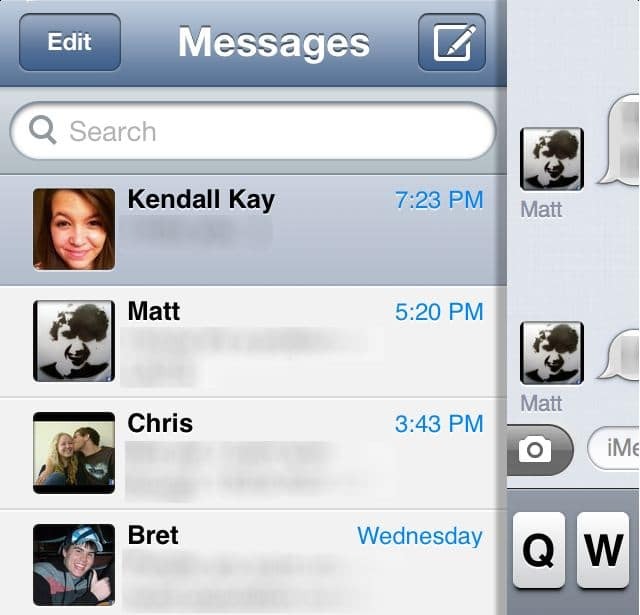 Contacts also display a photo of the person who you’re having a conversation with.